An award-winning director, writer, actor, producer and filmmaker, Alan Freeman ’66 M’67 has worked at such theaters as the Mark Taper Forum, San Diego’s Old Globe Theatre, Los Angeles Theater Center and the San Francisco Opera’s Western Opera Theater. 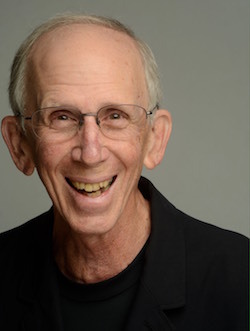 He is emeritus professor of theater and a member of the Board of Trustees at Occidental College, where he directed plays and taught courses in acting, directing, playwriting and narrative filmmaking for 45 years. Freeman has directed over 70 plays, musicals and operas; acted in more than 60 plays and musicals; written two full-length plays and two screenplays; and directed four short films. For many years, he was producing artistic director of the Occidental Theater Festival, which was honored many times with awards from the Los Angeles Drama Critics, DramaLogue and the Robbies, as well as two citations from the Los Angeles City Council. He holds an AB in speech and drama and an MA in directing from Occidental, and an MFA in film directing from the American Film Institute.